The report reviewed data collected by the Nebraska Crime Commission. 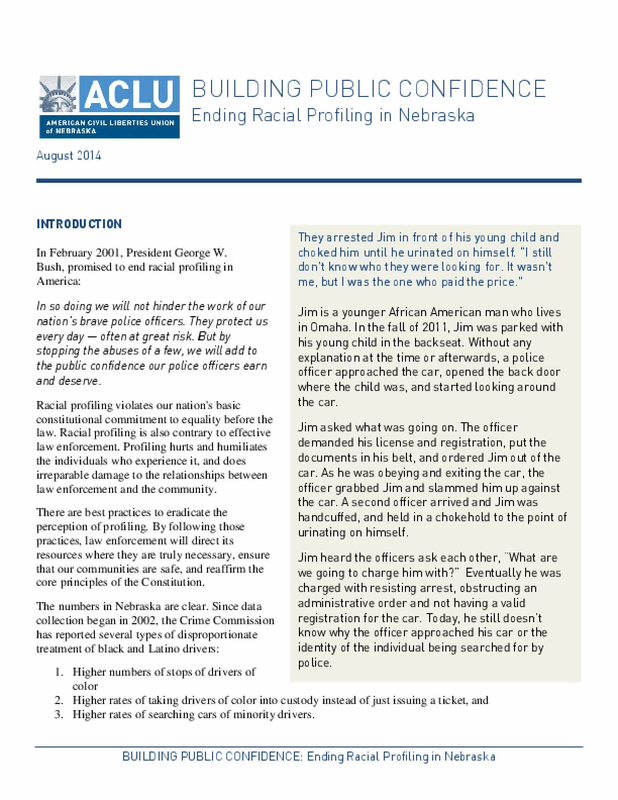 The ACLU's analysis of the data found that "profiling in Nebraska traffic stops disproportionately and negatively affects communities of colors." The ACLU report focuses on three findings: 1) People of color are more likely to be pulled over. 2) People of color are more likely to be arrested: a white driver has a 1 in 48 chance of being arrested compared to a 1 in 13 chance for drivers of color. The data showed that there was not a significant difference in the actual offenses committed by the drivers. 3) People of color are more likely to be subjected to searches.